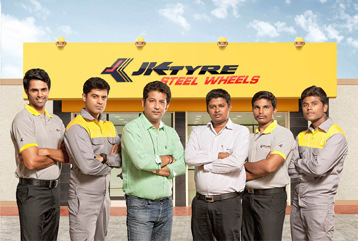 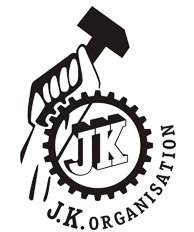 JK Tyre Steel Wheels, the exclusive retail chain, started in 1996. 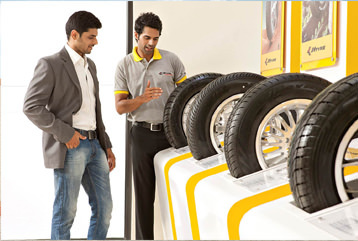 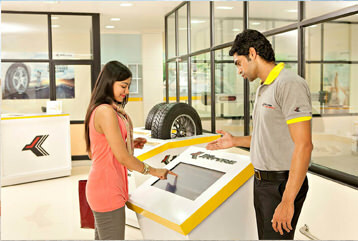 It is a One Stop solution for complete Tyre Sales and Service requirements of the customer. 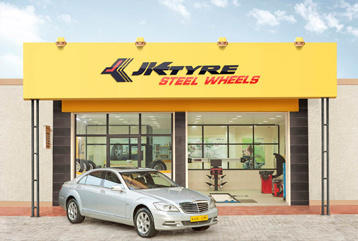 There are over 400 such JK Tyre Steel Wheels spread across the length and breadth of the country, and they are a last mile customer access touch point. 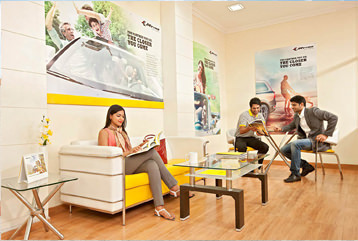 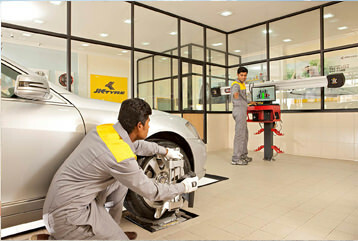 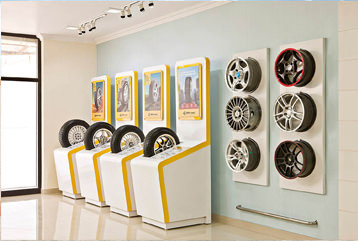 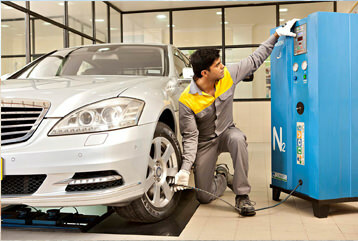 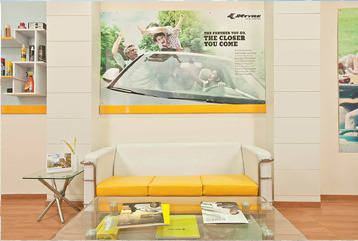 These showrooms are equipped with high technology wheel servicing equipment, providing value added services like Computerised Wheel Alignment, Wheel Balancing, Automated Tyre Changing, Tyre Rotation, and Air Care,all under one roof. 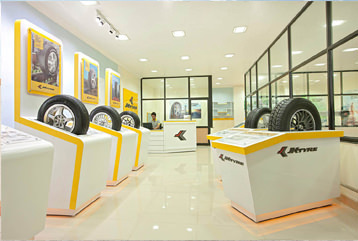 These showrooms are present in over 80 cities across India, from Srinagar in the north, to Tiruvilla in the south and from Vapi in the west to Aizawl in the east.